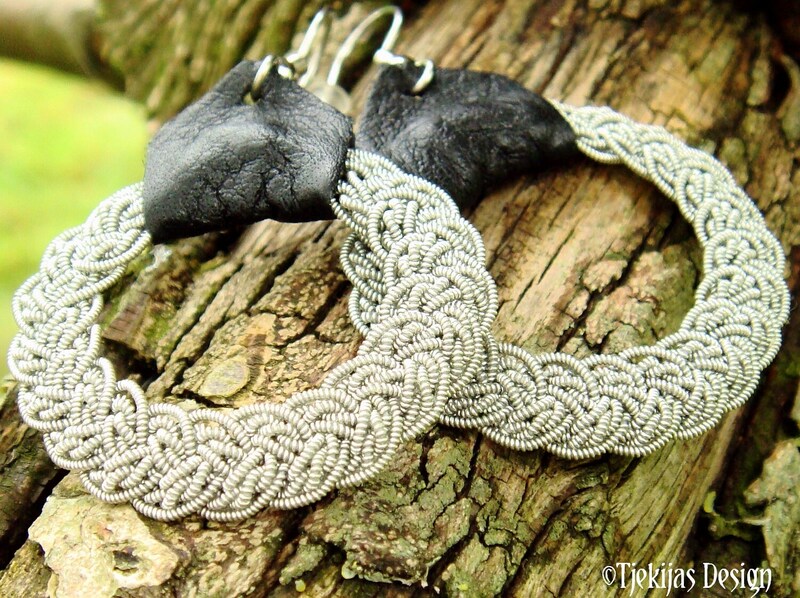 Finest spun pewter filigree braids with soft reindeer leather or lambskin. 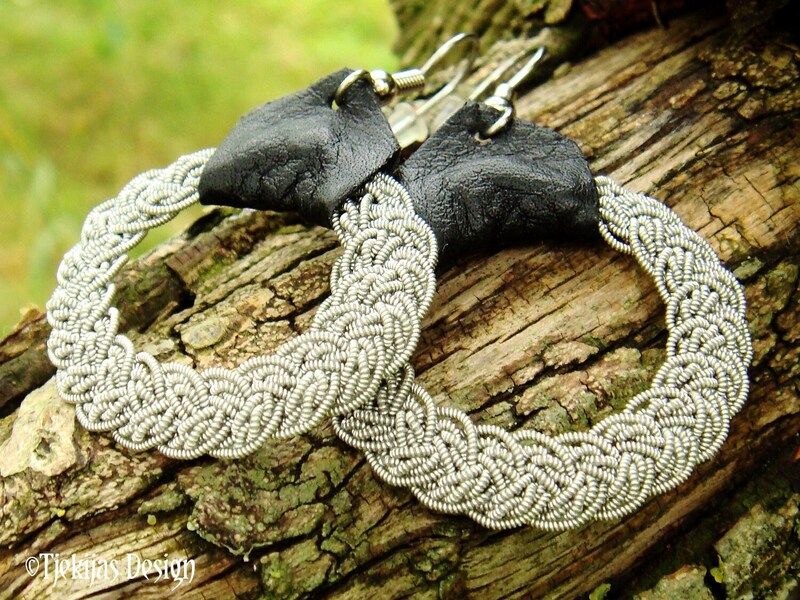 The pewter braids are carefully coated with water based clear lacquer, to keep their shape and the earrings are completed with surgical steel ear wires with back stoppers. Hangs approx 5,3 cm (2"). Width: approx. 3,2 cm (1,26"). Design: VIMUR - Rushing river in Jotunheim, that tried to drown God Thor, when trying to cross, in Norse mythology. 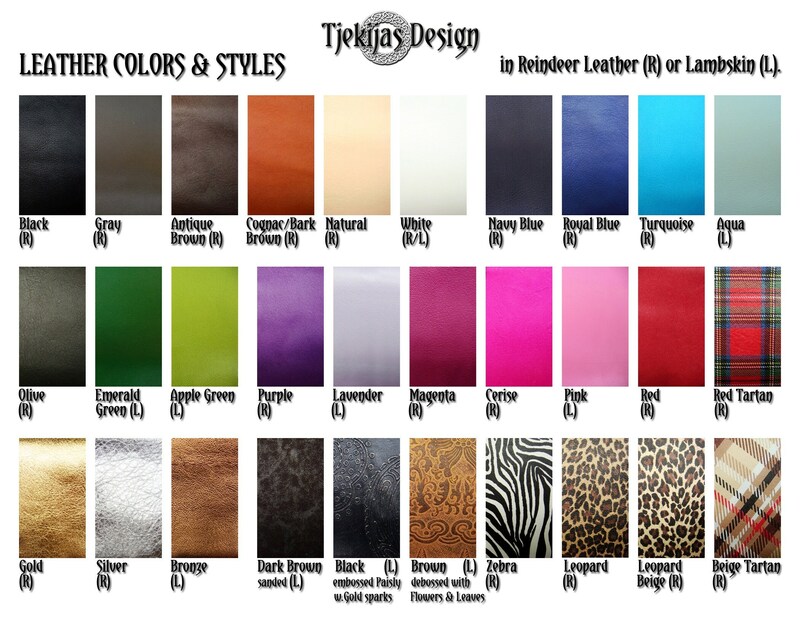 LEATHER COLORS AND STYLES: Please see last photo - 30 different colors to choose from. PLEASE CHOOSE leather color from the drop down menu. 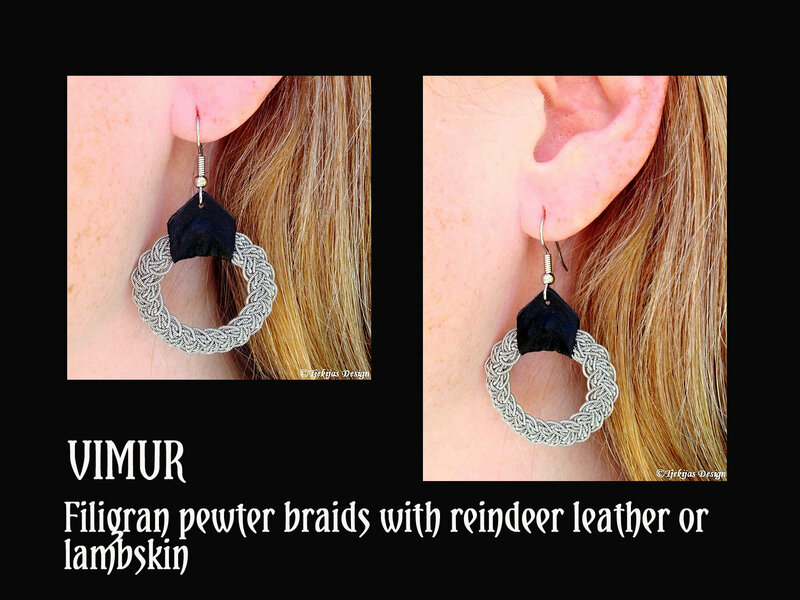 Your new pair of Vimur Sami earrings normally ships within 3-4 days from received order. 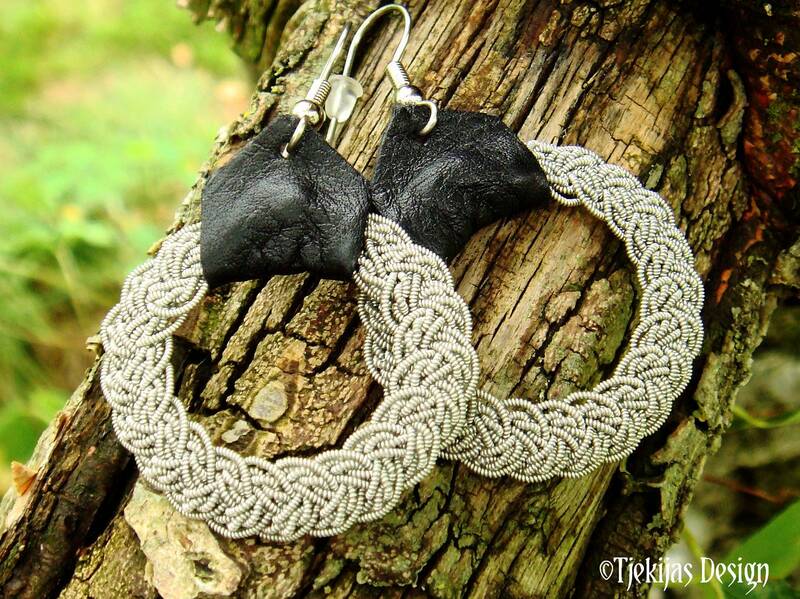 These are really pretty, well-made earrings. elles sont magnifiques, je les adore !